20 M113 "Fitter´s Vehicles" bought in the 1970´s. 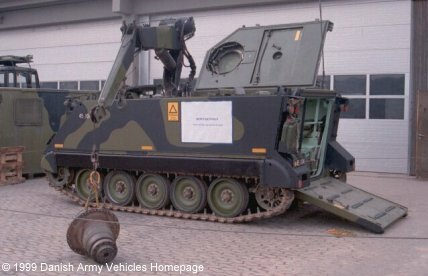 Mounted with a Swedish HIAB-crane with approx. capacity of 3 tons. Means of communication was a DA/VRC-271 Danish produced VHF-radio. Some of the vehicles have been brought up to G3 DK standard (132 kb).